Paraguayan journalist Pablo Medina Velázquez, murdered in the northeastern Canindeyú department while working on assignment, is the third journalist to be killed in the country this year and the latest in a series of journalists to be killed in the region in recent years. His death underscores the dangerous and deteriorating conditions for journalists working along the Brazilian border. Thirteen years ago, his brother and fellow journalist, Salvador Medina, was murdered in the same region, which is notoriously controlled by drug traffickers. Salvador was 27 years old when he was killed for announcements he made on Ñemity FM, the radio station where he worked at the time. Like his brother Pablo, Salvador also reported on regional drug trafficking activity. Pablo Medina, who worked as a regional correspondent for ABC Color, the largest daily newspaper in the country, was returning from a reporting visit to the Ko’ê Porã indigenous community last Thursday when two men wearing camouflage stopped his vehicle. According to reports from ABC Color, the men asked Medina to identify himself before shooting him several times in the chest and head. One of the two assistants traveling with him, 19-year-old Antonia Almada, was also killed in the altercation. Medina has been a target of repeated threats due to his coverage of marijuana production and drug trafficking activity in the eastern region of Paraguay. According to the Committee to Protect Journalists, Nelson Zapata, Medina’s editor at ABC Color, told a local radio station that Medina had received threats "almost since he started out in journalism." While Medina had worked alongside state-assigned police protection in previous years, those services were withdrawn in September 2013. The police believe that drug traffickers are responsible for the murder and have currently arrested four suspects in the case. But many believe the state must assume greater responsibility to prevent further crimes against journalists in Paraguay, a country that currently ranks 105th out of 180 countries in the 2014 Reporters Without Borders press freedom index. Her sentiments were echoed by the Paraguayan Journalists Union (SPP), who met this Monday, Oct. 20, with the Paraguayan Minister of the Interior, Francisco de Vargas, to ask for greater protections for journalists in the northeastern region. The death of Medina comes amidst a spike in violence against journalists across the country. Two other journalists have been murdered in Paraguay this year. In May, Fausto Gabriel Alcaraz was killed after reporting on the country’s drug trade while Edgar Pantaleon Fernandez Fleitas, a radio host who denounced judicial corruption, was killed in his home in June. 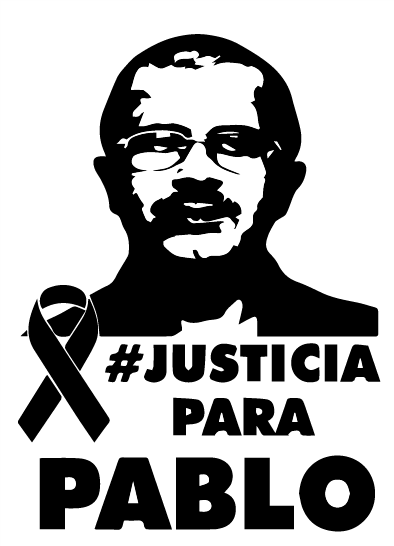 Carlos Lauría, the Americas Program Coordinator for the Committee to Protect Journalists (CPJ), also issued a statement urging “authorities to quickly and thoroughly investigate and prosecute this crime and not allow the cycle of impunity to accelerate."